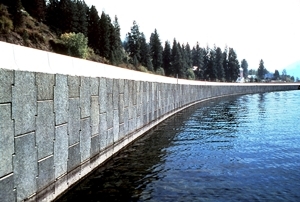 Reinforced Earth® MSE walls are a proven and effective construction material for structures in fresh water and marine environments such as retaining walls to support coastal highways and riverbanks, bridge abutments along waterways, dock walls, sea walls, earth dams and spillways. 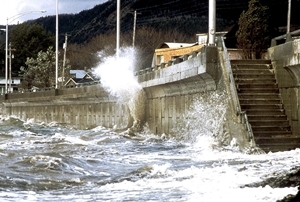 The inherent performance characteristics of Reinforced Earth combined with design precautions to include the additional loading conditions caused by tides, flooding, rapid water level drawdown, debris flow, wind driven pack ice and storms make the technology well suited for the complex situations relating to waterway and dam structures. The type of soil reinforcements used in Reinforced Earth MSE wall hydraulic structure is a function of the water environment as well as the depth, duration and fluctuation of water levels within the structure. 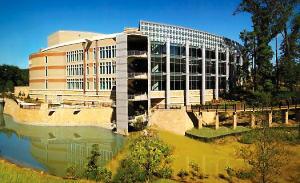 Reinforced Earth structures can be rapidly constructed under dry conditions, at low tide or entirely under water. 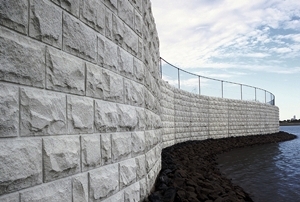 TechSpan® is an ideal system for use in culvert, river and other water crossings. 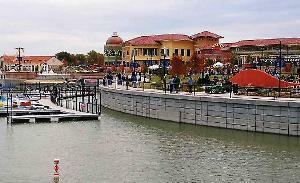 The adaptability of the arch shape allows optimization of the section while respecting the anticipated water flow. 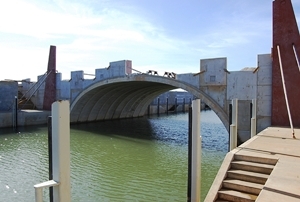 TechSpan is the solution of choice for these applications as the prefabricated durable concrete units used are cost-effective and construction can take place without diverting the stream.